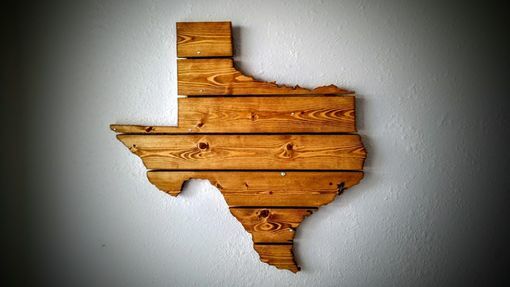 Wooden wall art is handcrafted and made to order, giving you a choice of wood and color. 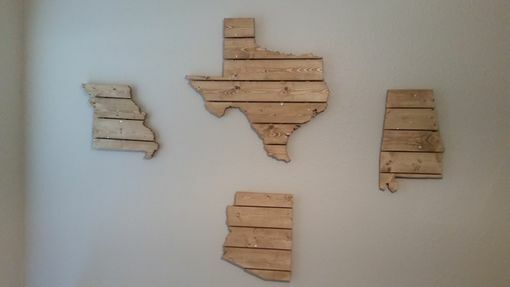 The USA map wall art shown in the picture is made with white wood and stained a dark walnut color using a Danish oil finish. 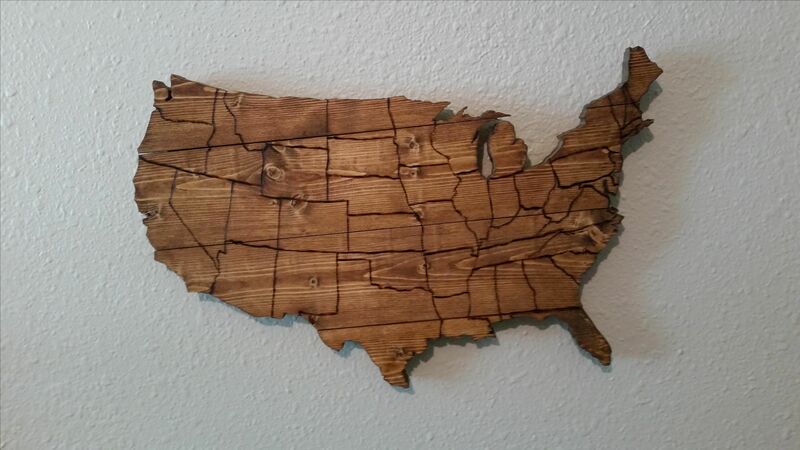 The USA wooden map wall art is 19x12x1 inches. 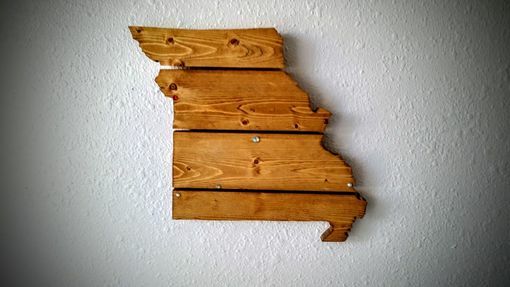 Other state maps will come in different sizes and shapes. 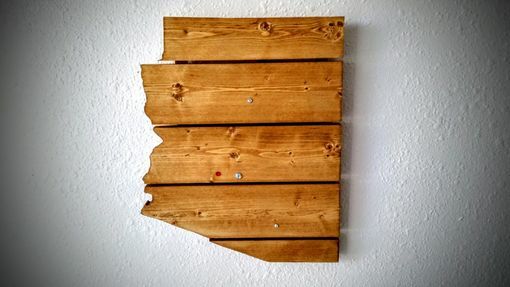 Each piece of wall art is handcrafted and made to your specifications and will take approximately 2 weeks from start of build to delivery. 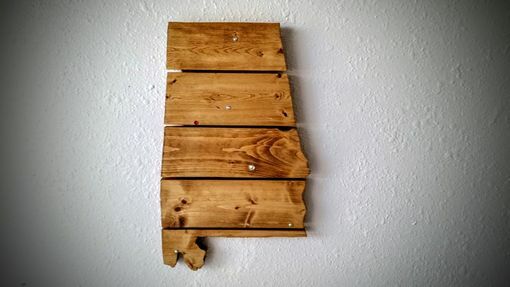 You can specify wood, color of stain, or paint. USA and state map wall art will look great on your interior or exterior walls, but other wall art can be produced with your favorite object, picture, or sign, words, etc.